Artec 3D, a developer and manufacturer of professional 3D hardware and software, today announced the release of Artec Studio 11, the latest version of its industry-acclaimed software. aDesigned for use with Artec’s professional handheld 3D scanners as well as a range of sensors, Studio 11 offers simplified, rapid post-processing that never compromises on precision or accuracy. The new software release meets the needs of professionals at any experience level and boasts numerous automated features, including a state-of-the-art Autopilot mode, to create professional-grade, 3D models of any size. With Artec’s unprecedented Autopilot mode, users are guided through a few simple questions related to the characteristics of the object being scanned and the type of 3D model that is desired. Studio 11 then deletes any unwanted captured data, auto aligns the scans with one click, and instinctively selects the most effective 3D algorithms for the data at hand. The result is a high precision 3D model that is of the same quality as those created manually by an experienced user. Autopilot makes the process so easy a beginner can use it without the intense formal training that was once required. However, expert users can also leverage the intuitive feature, as it provides a quick pathway to achieving the highest quality model. Those who prefer to have more control over the processing experience, can simply enter manual mode to have unfettered access to the platform’s full range of superior data manipulation tools. Even in this mode, Artec Studio 11 speeds up workflow by automatically deleting the base an object was scanned on and auto-aligning scan data with total accuracy at the click of a button. Texture can also be added 10 times faster than before and can be mapped where data is missing automatically. Models can be further manipulated in a few quick clicks with user-friendly geometry editing tools. With Artec’s boosted real-time fusion scanning mode, users are able to move the scanner around an object and view the model as it is being built. This mode provides the perfect solution for digitizing simple object or for instances where a quick preview is beneficial, such as scanning a body part for various medical applications. Furthermore, this power hungry mode, which used to require a hefty amount of RAM, has been optimized for a smooth scanning experience even on tablets. In order to provide increased flexibility to users, Artec Studio 11 allows for seamless integration with CAD programs 3D Systems Geomagic Design X and SOLIDWORKS. Direct export is now possible to both these industry standard engineering programs, the second thanks to the integration of SOLIDWORKS plugins: users have the choice of using either DezignWorks or 3D Systems’ Geomagic for SOLIDWORKS to easily convert their 3D model for CAD. The new platform also adds the CAD required NVIDIA Quadro to its list of compatible video cards in order to support the seamless scan to CAD workflow. In addition, Studio 11 boasts a sleek user interface adapted for tablet use. The platform is even compatible with the widely available and popular Microsoft Surface Pro 4, which can be easily purchased locally or online through major electronic retailers. Furthermore, for the first time ever, Mac users can now directly capture 3D data by using Artec’s new ScanApp in combination with an Artec Eva scanner. The scans can then be exported to a Windows device for further processing in Studio 11. The beta version of Artec ScanApp is available for free download until the end of September 2016 at https://www.artec3d.com/software/scanapp-for-mac. New users can receive a 30-day free trial version of Studio 11 by registering online at https://my.artec3d.com/ For information, visit https://www.artec3d.com/software/artec-studio. 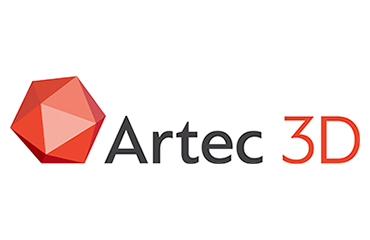 Artec 3D is an international company, headquartered in Luxembourg, with subsidiaries in the USA (Palo Alto) and Russia (Moscow). Artec develops and produces innovative 3D solutions and products. Artec has a team of professional experts in the collection and processing of 3D surfaces as well as biometric facial recognition. Artec’s products and services can be used in many industries, such as in engineering, medicine, media and design, entertainment, fashion, historic preservation, security technology and many more. Shapify.me, the service for the creation of 3D characters, was designed and introduced in 2013 by Artec 3D: https://shapify.me.